64 oz. 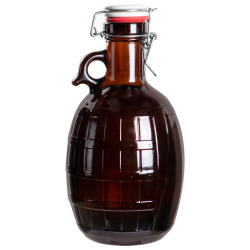 Growler Amber Glass Jugs with 38/405 Necks (Cap Sold Separately) | U.S. Plastic Corp. These 32 oz. 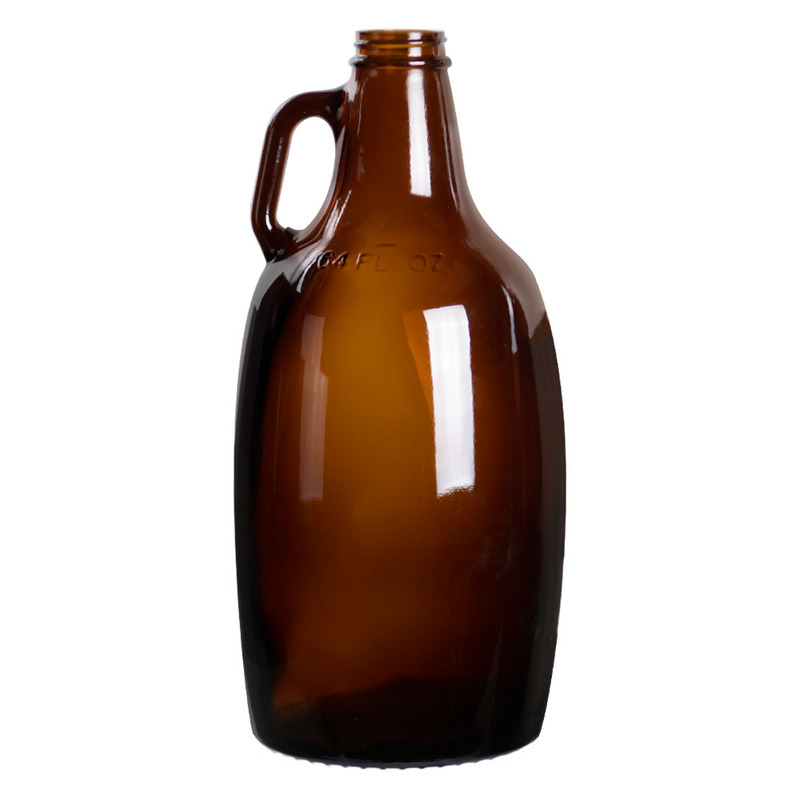 amber glass growler jugs are perfect for home brewers, brew pubs and breweries. These 32 oz. jugs have a long history of being the preferred container for transporting craft beer without degrading the quality of the brew. 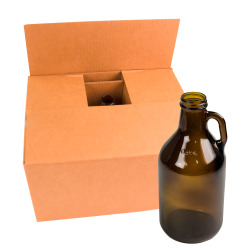 The bottle features traditional amber glass construction that is typical of many popular beer containers today. Dark amber or brown glass reduces the presence of UV light, a contributing factor of spoilage for craft beers.